This beautiful and spacious villa is a wonderful choice for a relaxing holiday, close to the historic town of Vence. This beautiful and spacious villa is a wonderful choice for a relaxing holiday, close to the historic town of Vence. It is ideal for a family or group of friends looking to relax amidst tranquil surroundings in an authentic French holiday home. The villa comprises three buildings; the main house accommodates the large kitchen and several living areas, as well as the terrace area. 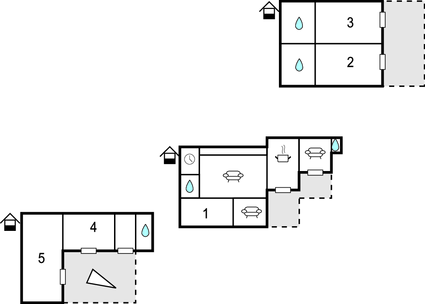 The other two buildings each accommodate two bedrooms and benefit from a terrace area. It may come as no surprise that the holiday home offers plenty of peace and privacy! The villa is well located for guests wishing to explore the beautiful French Riviera. The vibrant city of Nice is just 20km away, whilst the glamorous city of Monaco is 40km from the holiday home. If you'd like to spend the day relaxing on the shores of the Mediterranean, the pretty beaches of Cagnes sur Mer or Antibes are just 18km from the home. Please note, the property is accessed by a few steps. This beautiful villa is made from wood and brick and was originally built in 1965 and refurbished in 2008. The agent has rated it as a four star property so it is a well-equipped villa with above average furnishings. It is also great value for money. 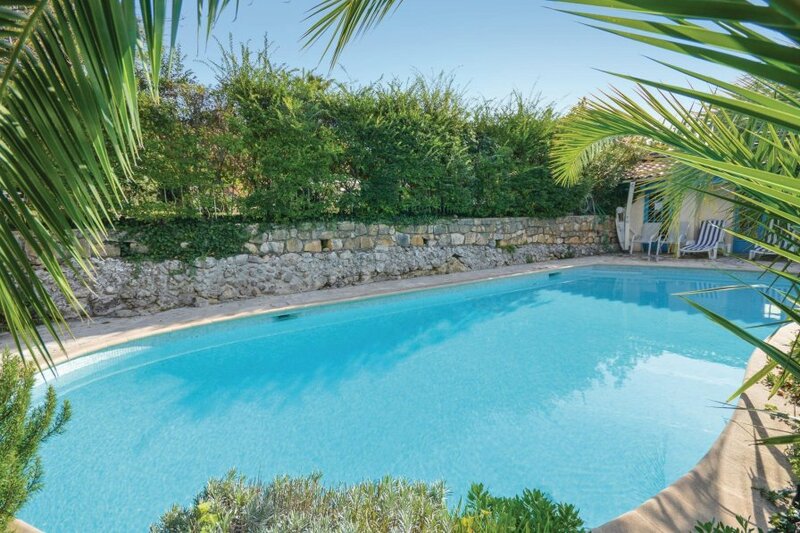 This villa has a private pool and is located in Sainte-Elisabeth, only 6km from Cagnes sur Mer. It is set in a good location, 8km away from a stone and pebble beach. There's also a restaurant 2km away.